The lovely Antonia Parker has contributed artwork to several of my books now. 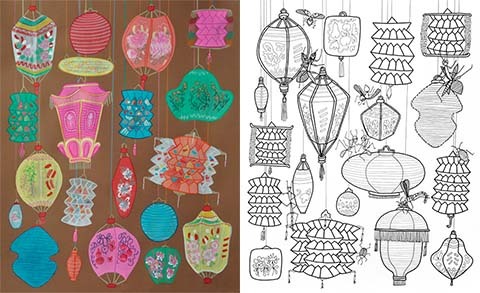 This time she was inspired by the multitude of lanterns that adorn her house to create a beautiful colouring page for Amelia’s Colourful Colouring Companion. She tells us about her current work practice and fitting creativity around motherhood, a challenge I can well relate to. What is your double page inspired by? This new book from Taschen features the work of 90 contemporary fashion illustrators from across the world and is essential reading for any lovers or creators of fashion illustration. Russian designer Anna Pitchouguina introduces her new fashion label, designed in London and made in Poland. Uniqlo UT today launches an exclusive range of Keith Haring and Jean-Michel Basquiat T-shirts online and we are inviting you to style the T-shirts through your artwork to create a unique fashion illustration. The winner will receive 2 return tickets from London to Paris and 2 tickets to the Keith Haring exhibition at the Musee D’Art Moderne. Read on to find out more about how you can participate. Michelle Urvall Nyrén talks us through her gorgeous debut collection, which features watercolour prints inspired by fashion illustrations she created for my second book ACOFI. Designer duo À La Disposition presented a dose of Dickens and Victoriana for their A/W 2012 Collection on the 17th of February at the Vauxhall Fashion Scout's Freemasons' Hall. We review Nova Chiu's colourful London College of Fashion graduate collection in anticipation of her debut at London Fashion Week for A/W 2012 at Ones to Watch today, Friday 17th February. ACOFI illustrator Antonia Parker creates wonderfully colourful and unique fashion illustrations, portraits and vignettes. 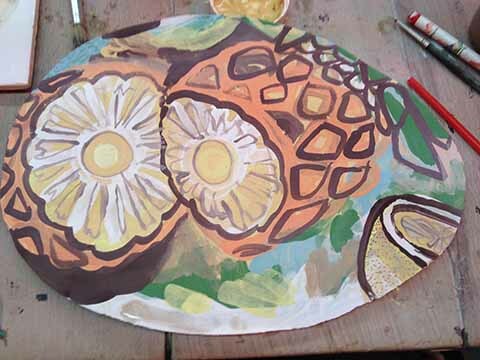 She got involved with many eclectic projects in 2011: and here's a fabulous overview. Faye West is a wonderful fashion illustrator who has been contributing to Amelia's Magazine for several years. Since she was featured in ACOFI lots of exciting things have happened, and 2012 looks set to be an even better year for this talented gal. Gareth A Hopkins is a name that regular Amelia's Magazine readers will recognise as a long term contributing illustrator. He also appears in Amelia's Compendium of Fashion Illustration and has been busy with all sorts of interesting projects in 2011, including The Intercorstal, Chelmsford Arts Trail and London Fashion Week. Michael Van Der Ham, the boy who's ever-obsessed with collaging, has taken a strategic turn in his design ethic, much to the fashion world's approval. And mine. I'll take it all, please. Held at the Topshop Venue on Monday 19th September. More fab work from Amelia's Magazine graduating contributors Liam McMahon, Amber Cassidy and Bryony Crane. 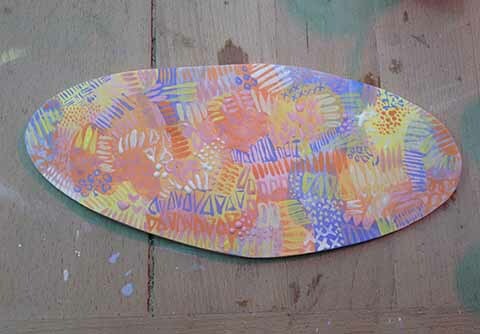 Plus lovely art from Dawn Gardner and more. On Tuesday 7th June I held the very last date on the ACOFI book tour at Tatty Devine's Brick Lane shop. It was a super busy and wonderful night, a chance for all sorts of creatives to meet and get inspired. With a little biscuit decorating help from Biscuiteers.